Underscores GE Healthcare’s ongoing commitment to serving as a strategic partner to the Government of Kenya and across Africa, supporting sustainable economic growth through infrastructure development, technology transfer, education and capacity building to support a better health system and patient outcomes. CHALFONT ST GILES, England--(BUSINESS WIRE)--As part of a wide-scale healthcare transformation program, one of the largest of its kind in Africa, the Kenyan Ministry of Health (MoH) has announced GE Healthcare as a key strategic technology and solutions partner, following the conclusion of an open tender process. The announcement of GE Healthcare’s selection was made in Nairobi at a State House signing ceremony presided over by His Excellency President Uhuru Kenyatta, Deputy President William Ruto, Hon. James Macharia, Cabinet Secretary for Health, on Friday 6th February 2015. The program covers radiology infrastructure modernization in 94 county hospitals across 47 counties and 4 national referral hospitals. The Radiology modernization lot awarded to GE Healthcare represents the largest of seven tranches of Kenya’s progressive Kshs 38 billion (~USD 420 million) health development plan. 3. Scope for the assessment and potential establishment of a GE Healthcare Training Center to be run jointly with an accredited local partner. 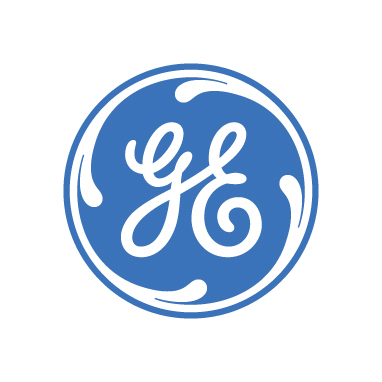 If established, it would become the first training center for GE Healthcare in Africa. 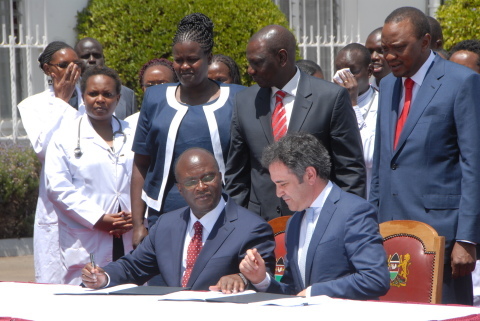 Kenya’s Cabinet Secretary for Health, Mr. James Macharia said, “The Managed Equipment Services Project is our key flagship program that will greatly impact the lives of Kenyans by decentralizing specialized healthcare services from national referral hospitals to county hospitals. This is in line with the Government’s commitment and support to counties to ensure continuous improvement of health services and expand access to quality and affordable healthcare - the right of all 46 million Kenyans. Farid Fezoua, President & CEO for GE Healthcare Africa said, “GE Healthcare is honored and privileged to have been selected by the Government of Kenya, through the Ministry of Health, to support its healthcare transformation strategy in line with the country’s Vision 2030 Plan. Over the coming months the GE Healthcare team will be working in close collaboration with the Ministry of Health, local project management partners and Project Partners, including the relevant county healthcare administrators and recipient hospitals, to ensure the rapid and successful implementation of the program. Further details on the deployment schedule in the respective counties will be made available in due course. Building on a heritage of over 100 years in Africa, GE Healthcare’s commitment to healthcare development is backed by local investments, with Kenya serving as GE’s headquarters for Africa, focused on driving sustainable healthcare development through localization, local job creation and talent development. As part of its localization plans, GE Healthcare will look to more than double its local workforce in Kenya, to over 80 local employees by the end of 2015. GE Healthcare’s commitment to building a thriving local workforce is central to its ‘Every Day’ employee voices campaign, which premiered in early February. The campaign celebrates local Kenyan GE talents talking about their personal mission in contributing to the improvement of health in their Kenyan homeland. GE Healthcare has a strong history of supporting healthcare development across East Africa. Through the GE Foundation’s Developing Health Globally Program, established in 2004, GE has partnered extensively in Kenya to improve surgical capacity; develop training programs that expand education in anesthesia; provide critical access to life-saving oxygen especially for newborns and children, and reached over 12,000 Kenyan girls providing access to education and skills. The Constitution of Kenya 2010 guarantees Kenyans the right to health, with Article 43 stating that every Kenyan has a right to quality health care, including reproductive health, and access to emergency medical services. 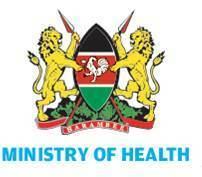 The Jubilee Government promised to promote this right through shifting the focus to preventive healthcare as it is less expensive and easier to prevent illness than to cure it; rolling out of universal healthcare; achieving free primary healthcare for all Kenyans, starting with women, expectant and breast-feeding mothers; increasing number of community level and increasing mobile health clinic services; upgrading and equipping facilities and encouraging private sector investments. From North Africa to Sub-Saharan Africa, GE Healthcare has been active in the continent for over 100 years, partnering with some of the region’s leading healthcare providers, including Ministries of Health and private chain customers. Today, over 37,000 GE Healthcare systems and technologies are deployed in hospitals across the continent. In parallel, via its global US$6 billion healthymagination initiative, GE is also striving to increase access to high quality medical care to more people at lower costs. In Africa, healthymagination is contributing to the implementation of the Sustainable Development Goals 4 (reduce by two-thirds the under-five mortality rate) and 5 (reduce by three-fourths the maternal mortality rate). GE remains committed to impacting access and the continuum of care in rural settings and will continue to design products and solutions leveraging ongoing research and collaborations in the global health community.